Microsoft Chief Executive Steve Ballmer has said in a new interview that his company is "not going to leave any stone unturned" in competing against Apple. Ballmer said Microsoft intends to make it "absolutely clear" that the company plans to compete in any market against Apple, according to CRN. He said Microsoft plans to "innovate everywhere" and bring its partners along for the ride. The Microsoft CEO said he believes his company has advantages over the market in productivity, enterprise management and manageability. He said he doesn't see any market where Microsoft will let Apple go uncontested. "Not the consumer cloud. Not hardware-software innovation. 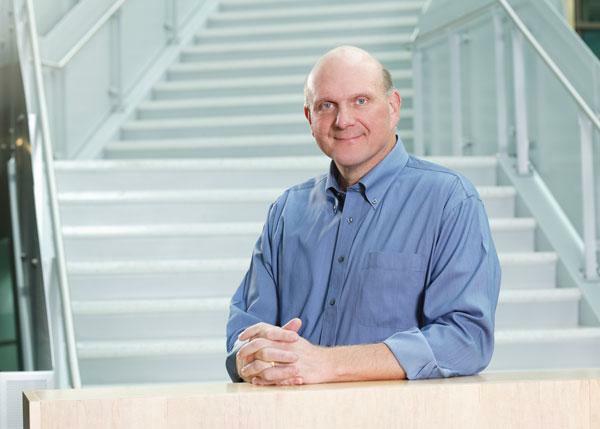 We are not leaving any of that to Apple by itself," Ballmer said. "Not going to happen. Not on our watch." The interview comes soon after Microsoft unveiled its new Surface tablets, with hardware that the company designed itself. Microsoft's creation of both the hardware and software for Surface is a major transition for the company and gives it an approach similar to Apple. Apple and Microsoft will not only face off in the tablet market this fall after the launch of Surface, but both companies are also launching next-generation versions of their mobile and traditional PC operating systems. Apple is set to launch Mountain Lion this month while Windows 8 will debut in October, and Apple will release iOS 6 this fall around the same time as Microsoft's Windows Phone 8. The two companies also compete in the set-top box market, where Microsoft's Xbox 360 offers video and music content in addition to games, while the Apple TV features Apple's iTunes content and can stream games and other material to an HDTV. Purported 13" Retina MacBook Pro benchmarks appear, launch rumored before Oct.